The Irish Rugby Football Union has been accepted onto the World Rugby Raleri Goggle trial allowing those requiring the use of goggles to now apply to World Rugby to participate in the trial and purchase a pair of Raleri goggles, if accepted onto the trial. The IRFU reminds all players, coaches, referees and parents that the trial is limited to the Raleri goggle only, and in accordance with the terms of the World Rugby trial, no other eye-wear will be permitted, for health and safety reasons, in contact forms of the game. The IRFU encourages parents, players, coaches and volunteers to review information available from World Rugby in relation to the trial - http://playerwelfare.worldrugby.org/goggles<http://matchdaymail.irishrugby.ie/lt.php?c=2733&m=4548&nl=16&s=cae606e120bd23181ebf310947204086&lid=52120&l=-http--playerwelfare.worldrugby.org/goggles>. What is the World Rugby goggles trial? World Rugby is conducting a trial to test the safety of goggles/eye-wear in rugby. Has the IRFU ever allowed people to wear glasses or goggles on the field of play? No; for health and safety reasons eyewear has never been permitted, with the exception of non-contact forms of the games such as Leprechaun, Tag and Touch rugby. Those playing non-contact forms of the game can continue to wear sports goggles. However, if they move to the contact form of the game they will be required to apply to World Rugby and purchase the Raleri trial goggle to continue to play rugby, if they are accepted onto the trial. The IRFU's medical department advises people with sight in just one eye (ie monocular) to consider avoiding contact rugby entirely. What advice does the IRFU have for any coach/parent/player or referees? The World Rugby trial permits the wearing of Raleri goggles only. ALL OTHER GOGGLES WILL REMAIN PROHIBITED IN LINE WITH WORLD RUGBY LAWS . 1. Who can use the goggles? 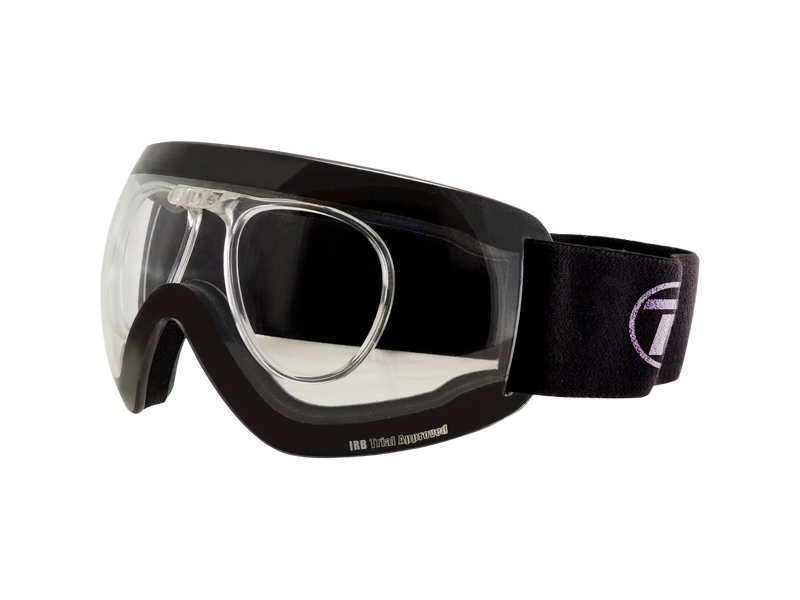 Only players with chronic eyesight conditions may use the goggles while playing contact Rugby. This includes people who require corrective lenses, people with monocular vision and people with restricted vision in one or both eyes. The goggles must only be worn on recommendation from an ophthalmologist (or similar expert) and the wearer must provide the match referee with a letter from their ophthalmologist (or similar expert) detailing the need for the participant to wear the goggles. Only the person who has completed the application form for inclusion in the Global Law Trial (or the person for whom the applicant is a legal parent or guardian) may wear the Rugby Goggles while playing contact Rugby. Rugby Goggles may not be used by an individual to enable them to play contact Rugby while recovering from a temporary eye or face injury. 2. How do I order a pair of goggles? The World Rugby Goggles Global Law Trial is open to all players in all Unions who fulfil the criteria set out above. Participants must register (if not already registered) on the World Rugby Passport System. Following World Rugby Passport registration all parts of a short application form need to be completed before a Unique Purchase Code (UPC) will be issued. Once you have you been issued with your UPC (which will also be emailed to you) you can then go to the Raleri website to purchase your Rugby Goggles. Each UPC permits the registrant to purchase one pair of Rugby Goggles only and can only be used once. As part of the purchase process you will be required to register on the Raleri website. This registration is completely independent of the World Rugby Passport System and all information provided will be stored by Raleri. 3. What kind of lenses can be used in the insert? 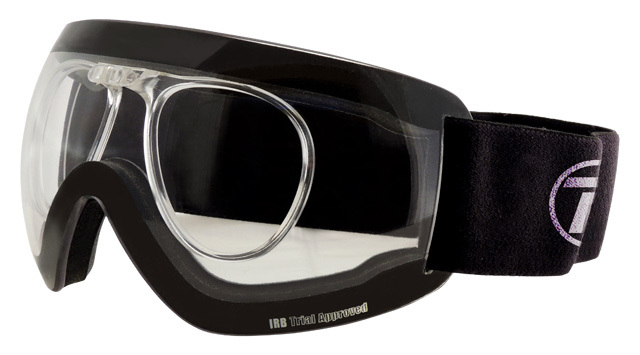 Only polycarbonate lenses (or similar plastics) should be used in the Rugby Goggles' insert. Glass must never be used to manufacture the lenses used in the insert. 4. Who should fit the lenses? Only a qualified optician should fit the lenses to the Rugby Goggles Insert. The insert itself should not be altered in any way. The directions supplied by the manufacturer should be followed when fitting the lenses. Glass should never be used to manufacture the lenses fitted to the Rugby Goggles insert.